Subsidence due to longwall underground coal mining changes the hydraulic properties, heads, yields, and in some cases the groundwater chemistry of overlying bedrock aquifers. 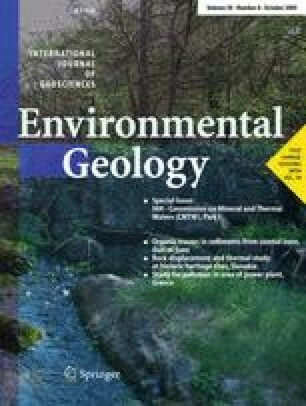 A 7-year study of a sandstone aquifer overlying an active longwall mine in Illinois has supported a comprehensive model of these impacts. Subsidence caused increases in permeability and storativity over the longwall panel. These changes initially caused a major decline in water levels in the sandstone, but the aquifer recovered slightly within a few months and fully within several years after mining. The enhanced hydraulic properties combined with potentiometric recovery resulted in a zone of greater well yield. However, at sites with very poor transmissivity and inadequate recharge pathways, recovery may not occur. Also, at the study site, the physical enhancement was accompanied by a deterioration in groundwater quality from slightly brackish, sodium bicarbonate water to more brackish water with increased sulfate levels.